When the idea of running your own company or business came along, it was filled with dreams and creative visions that you couldn’t wait to share with the world. Then, the marketing, advertising and financial realities came along and we realized that running a business, company or website is not all sugar and spice. Marketing and advertising can stress you out if you let it. These gray areas can be confusing and overwhelming if you’re unfamiliar with the pros and cons of how to properly share your business with the world. Search engine optimization, in a nutshell, is getting your page seen on the search engine results. When someone says ‘I’m going to Google it’, we want our website to be on the first page after they click the search button. 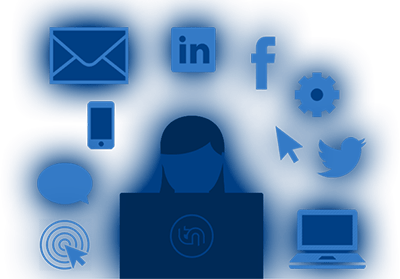 This is a great, natural way to market to the Internet – but what are the pros and cons of this method? SEO has proven to give successful results to those who know what they’re doing. 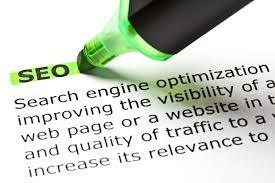 There are many benefits to using SEO to promote your website or business. Basically free, if not, less costly than buying ads. Inserting search engine friendly keywords and phrases into your website’s content is a free way to help rank your page on the search results. Every keyword helps, even if you don’t flood your content with keywords and phrases. The cat is the cat who loves cats…we get it; the keyword is cat. You don’t need to insult the reader’s intelligence. Because of the paid advertisements at the top of the results, people are more likely to continue looking for natural results. Back links and use of SEO keywords can help increase traffic to your page regardless of what ranking it has received. If you continuously work hard to promote your website using search engine friendly keywords and phrases, your work will pay off. Like any other marketing method, there are cons to search engine optimization. Though with hard work and properly inserting keywords and phrases into content the negatives are minimal, if you aren’t using SEO correctly, they can be disastrous. If your website is not SEO friendly, it may require a complete renovation if you’re choosing to use search engine optimization. There are absolutely no guarantees when using SEO. In fact, even with proper SEO use your page may still end up on the 7th or 8th page ranking results. While your page may be SEO friendly, with all of the changes that search engines make throughout the year, in 2015, your website could be completely out of date. It’s almost impossible to replace the results on page 1 and 2 of the search. These sites have been around for a number of years, have mastered SEO and aren’t planning on going anywhere. If you’re a slave to instant gratification, then this method is not for you. SEO is a process and it takes time to get your page rankings up. There are no immediate results! Remember – no one likes a pushy salesman. The Internet offers so many results that if you’re flooding your content with keywords, the reader is just going to go back and find a less intrusive page. Of course, every action and tool has negative and positive benefits. SEO is no different in the sense that it takes hard work and failed attempts to get everything going correctly. If you create a website that people enjoy visiting, use your content keywords properly and keep working hard, your brand or business is sure to have positive results. Do you want to learn more about properly using SEO for your business? Contact us for more information to help optimize your website for search engine results.